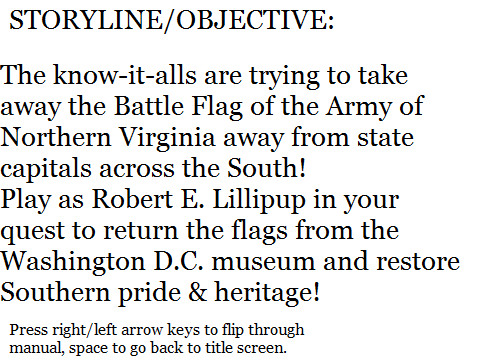 First thing you need to know is that you, as Robert E. Lillipup, start the game in South Carolina, and you need to make your way to Washington D.C. Simple enough. You'll have to eventually go from Washington D.C. to eleven Southern state capitals. Every one of them has had their flag taken. Washington D.C. is the northern-most and eastern-most part of the game, and you must go through Virginia to reach it. 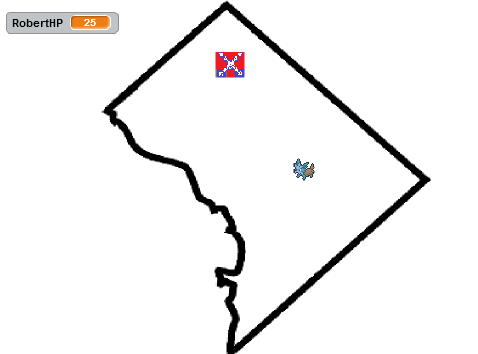 Capture the Confederate Flag features a fully-explorable 2D world of the former Confederate states of the South. If you cross a state border on one side, you'll pop out the other side of the next state. For example: Going through the top part of South Carolina will have you spawn at the bottom part of North Carolina. The identity of the know-it-alls is pretty clearly Hillary Clinton, as you'll figure out by playing the game. She will be chasing you throughout the game whenever you grab the flag, as is standard capture-the-flag protocol. You'll need to avoid her and repel her advances! Once you enter Washington D.C., simply move to the flag. Your character sprite will change accordingly to show you're holding it. You must go to the flag pole of any state capital and touch it while holding a flag. Rinse and repeat ten more times with the other states to restore the rightful heritage of your homeland! The only controls you need for Capture the Confederate Flag are the arrow keys to move, and your spacebar for Secret Power. As is the case for the real Pokémon games, Secret Power varies tremendously depending on your location. That'll be the subject for Part 2 of this strategy guide, but know that Secret Power is how you will be doing damage in this game. 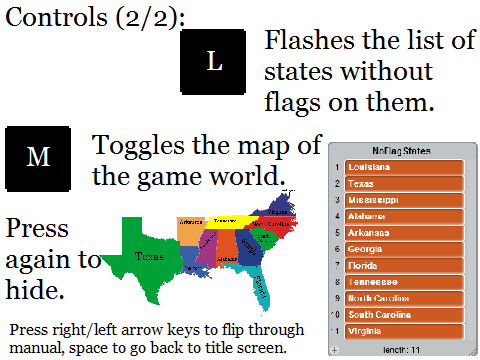 The L and M keys are for if you have bad memory (the List tells you which places you haven't returned a flag to) and bad geography skills (it overlays a map on the game world — and tells you which state you're in — and if you press it again, it hides). The local enemy in every state besides Arkansas is Dylann Roof, and the local enemy in Arkansas is Bill Clinton. Dylann Roof is always holding a Petilil captive, while Bill Clinton is doing unspoken things with a Lilligant. More on beating them in Part 2, because they're part of what you're using Secret Power on. 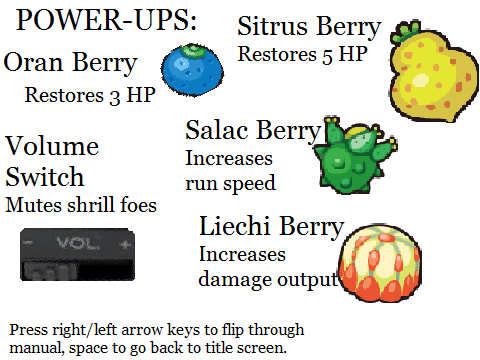 The Salac Berry will increase your speed by .7 pixels per arrow key press (with a default of 5), while the Liechi Berry will increase your damage output by 20%. The Volume Switch will mute all of the sound-effects/voice-acting of Hillary Clinton during gameplay. She's...quite screechy. The power-ups disappear forever if you leave them on the map and then leave the state. Depending on what you do with the multitude of Dylann Roof and Bill Clinton, you can get one of four endings in the game. I suppose I ought to mention now that the game is far from over after you complete your objective of returning the flag to each state capital. Since the only way to obtain those power-ups is by defeating Dylann Roof, and the only way to obtain some of the endings is to NOT defeat some or any Dylann Roof, you can imagine that some of the more elusive endings have an innately higher difficulty level. After Abraham Lincoln enters the game, Robert E. Stoutland rides the Confederate Metagross to fight Abraham Lincoln and his Braviary, which functions as yet another evolution stage. The last form doesn't count as evolution, since it has its own moves. Robert E. Herdier flashing multiple colours due to him going through the evolution sequence. 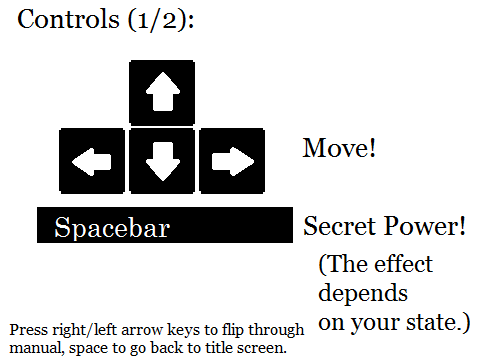 As you'll see in Part 2 of this guide, evolution has dramatic effects on the Secret Power moves in the game. Lillipup evolves after retrieving four flags, and Herdier evolves after retrieving eight. Their max HP also goes up — Lillipup has 20, Herdier has 25, and Stoutland has 30. The current HP is also fully restored to that maximum. The actual evolution takes place in Washington D.C. after its cutscenes that you'll have to play to know about. One last mechanic to be aware of are the random appearances of Zigzagoon, Dedenne, and Munchlax. These are referred to as the Pick-Up Pokémon, and they can appear at random any time you switch state locations. 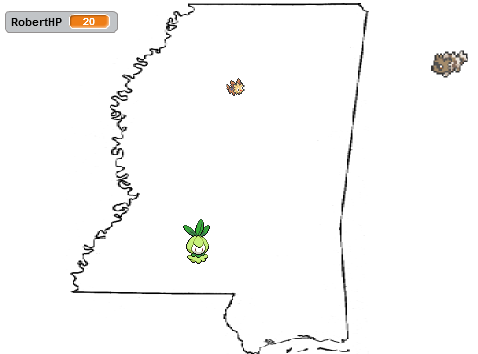 They will run around the map, and if you use a Secret Power move on them, they will also drop an Oran Berry. Catching up to these guys can be a challenge, especially when they run off of the map. If you switch locations, you very likely won't see them again for a while. Since this is a strategy guide, here's strategy: Don't KO any of the Pickup Pokémon if you don't need the health. There is only one of each. They can appear during the long Abraham Lincoln boss fight (unlike Dylann Roof), and that little 3 HP of health they drop can be a lifesaver. On the other hand, the mountains of free health restoration you get during the base flag-gathering means you shouldn't be in health-critical danger. 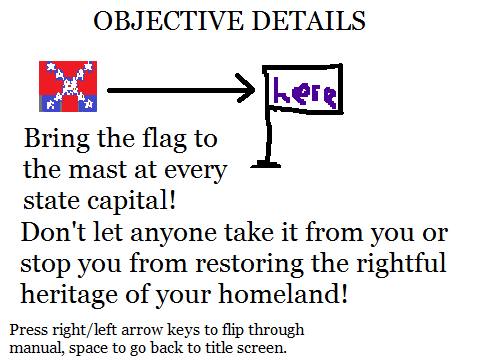 The first part of the game involves returning the Confederate flags from Washington D.C. (they will always spawn there, one at a time) to each of the eleven state capitals in this fully-realised game world. The choices you make with regards to how you interact with the antagonists you encounter directly influences what happens in the other parts of the game. The second part of the game involves a very long boss fight taking place in each of those states. The third part of the game involves a final showdown in Washington D.C. There are fully voice-acted cutscenes between each part of that! Ludwig wants to get the Capture the Confederate Flag stuff fully out of the way before KoopaTV's next videogame is released. He plans for two more parts to this strategy guide series, and they will be much more lengthier than this. With the help of these guides, I just might be able to complete the game for once. I really want to meet the final boss. Well, this didn't tell you anything you didn't already know. I think.